We are spoilt with choices for home security systems here in Sydney, but which alarm system is right for you and your family? The scary truth is that most alarm companies are tied down to only one alarm supplier meaning they can only offer you one, or if you are lucky, two types of alarm systems. 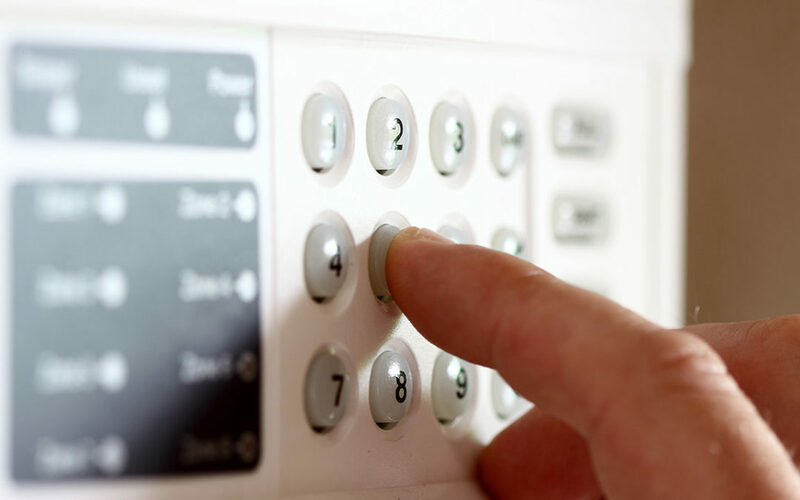 This may well simplify things for the security company but it doesn’t help to ensure that you get the best suited burglar alarm installed for your home. How to choose the best security house alarm for my home? There are well over a dozen different brands of alarms on offer in Sydney and each brand has a handful of different makes & models to choose from. Choosing the correct one to suit your specific needs are important. I meet with new clients weekly throughout the Sydney North Shore, advising them on home security. When my prospective clients show me what my opposition security companies are offering to install for them, quite often, the type of security system on offer, doesn’t suit their home, lifestyle or needs. So if you’re looking for a security system for your home, please read on, and learn the basics on what to look for. Big security system or small burglar alarm system? Alarm systems vary greatly in size. If you have a huge home, don’t settle for an 8 zone burglar alarm system that really shouldn’t have more than 8 devices connected to it. Doubling up or tripling up devices onto the same zone isn’t wise, so count out the number of reed switches, movement detectors, smoke detectors and panic buttons that you believe you’ll need and ensure your security provider is offering you an alarm panel that’s large enough to accommodate your needs. (don’t forget to allow a few spare zones for future expansion as well). Complex Security System or Simple burglar alarm? Who will be using the alarm system? if your parents/grandparents, children, baby sitters or cleaners will also be using your home security alarm system, try to ensure you chose one that’s simple enough for them to operate with ease. You would be amazed on how many Upper North Shore burglar alarms are left off on certain days because the cleaner is coming on that day, or your parents are visiting for a week. I’m not saying you shouldn’t get a complex alarm system for it can be as complex as you like. just make sure it is simple to use. (some alarm systems are quite tricky to operate). Is the alarm “Future Proof”? The NBN (National Broadband Network) is currently being rolled out throughout outskirt suburbs of Sydney. It won’t be long before Sydney North Shore suburbs has NBN installed also. Our security systems will continue to work seamlessly when NBN rolls out throughout Sydney. SM Security Services Pty Ltd has tried proven and tested solutions to ensure your alarm system doesn’t fail when NBN arrives at your front door. Alarm designed to be armed whilst sleeping (Night Mode). All modern security systems allow you to turn on part of your alarm system before you go to bed, thus increasing your level of security. This is often called “night mode” or “home mode”. To have a security system installed and not utilize this feature would be unwise. A security system needs to be designed properly during the installation stage to ensue as many alarm devices as possible can be left active when arming your alarm system in “night mode”. Your security alarm design should incorporate an alarm keypad installed within easy reach of the bedrooms and allow you to use the bathroom and check on your kids through the night without triggering your alarm as a minimum requirement. Do you have a small dog or cat that lives indoors? There are plenty of pet friendly movement detectors available so ensure you discuss your needs with your security salesman or licensed security consultant. If your burglar alarm is designed correctly, you will still be able to turn on your security system whilst leaving your cat or dog (or both) inside your home. In my opinion, a hard wired security system will outperform a wireless system every time. That said, sometimes, part of your home may be impossible to install (run in) new security cables, meaning wireless sensors may be your only option here. If this is the case, try to get a security system installed that can have a combination of hard wired and wireless sensors connected to it. Always insist on getting as many hard wired devices connected as possible for these will definitely be less problematic in years to come. Home automation integration with your alarm system. If you are building a new smart home. Ensure you install a security burglar alarm that can integrate with Control4, or C-Bus effectively. All security alarm systems can talk to home automation systems using inputs and relays (this is called “low level” interfacing), but this is very much “old school” technology and certainly doesn’t cut it as a proper integration solution for your new home. To get the most out of your new Smart Home, a high level interface is required between your Smart Home and your Security alarm system. A high level interface connection between your alarm and your chosen home automation platform has incredible benefits. There are only a few security systems that can offer true integration. Our security system of choice for your Control4 or C-Bus smart home integration is the Ness M1 security system. The Ness M1 integrates perfectly with smart homes of all sizes. Back to base monitoring, often called 24hour monitoring, is pretty much the norm these days. It’s not often we install alarm systems now that aren’t connected back to a 24hr monitoring control room. More and more often, security providers will insist on you signing a 3, 4 or 5 Year monitoring contract with them. The rational with monitoring contracts is simple. Security providers discount the initial up front cost of the alarm installation making it seem very viable, then increase your weekly monitoring fee thus making a substantial profit over the next five years through alarm monitoring. These monitoring contracts are legally binding. Be very careful. Do your homework and calculations here so you know exactly what you are up for over the five Year period. Sadly, if you’re unsatisfied with your chosen security provider, you are stuck with them until the contract is paid out in full. Is your new alarm system being installed by a licensed alarm installer? Is your new security system being installed by an experienced and licenced alarm installer? Licenced alarm installers are subject to rigorous background checks including fingerprinting, a national criminal history records check and criminal intelligence background checks. There are heavy penalties involved for persons and corporations caught installing electronic security un-licenced. Maximum fines of $55,000 for individuals and/or 2 years’ imprisonment & $110,000 fine for corporations. Is the alarm system being installed by an employee or a contractor? This may sound like a silly statement, but many security providers farm out their alarm installations to sub-contractors. In most cases, sub-contractors get paid a set standard fee for installing your alarm system. What this can often mean, is contractors may take short-cuts to ensure he gets to his next job quickly, thus maximising profits with very little consideration of how poorly the alarm was installed for you home. Is the alarm system a current make and model? or simply a re-badged older model? believe it or not, there are companies out there selling alarm systems that were designed over 20 years ago with nothing more than a few face lifts done to the code pad and minor changes to the alarm panel. The alarm will still operate fine, but missing out on many improvements found in newer alarm systems. We spend hundreds of hours each year purchasing and testing many new makes and models of alarms to ensure we have a good mix of up to date alternative security products in our arsenal.